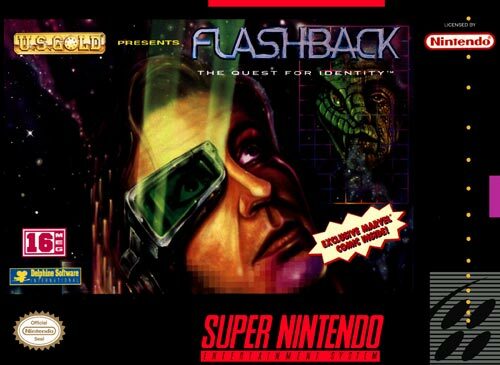 Flashback: The Quest for Identity for Super Nintendo allows you to play as Conrad B. Hart, a scientist who's made a horrifying discovery: Earth has been infiltrated by shape-shifting aliens bent on world conquest. To save Earth, you must fight through three fantastic worlds and 200 different (non-scrolling) game screens. Solve dozens of mind-bending puzzles to survive up to 50 hours of non-stop fun, action and excitement.